The built environment is an energy-guzzler. The U.S. Green Building Council (USGBC) states in this country alone, buildings account for 41 percent of energy use, 73 percent of electricity consumption and 38 percent of all CO2 emissions, and 13.6 percent potable water consumption. 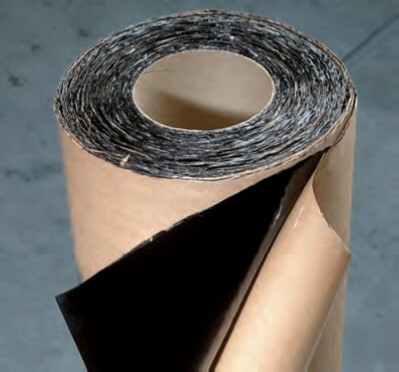 Globally, buildings use 40 percent of raw materials, or about 3 billion tons annually. 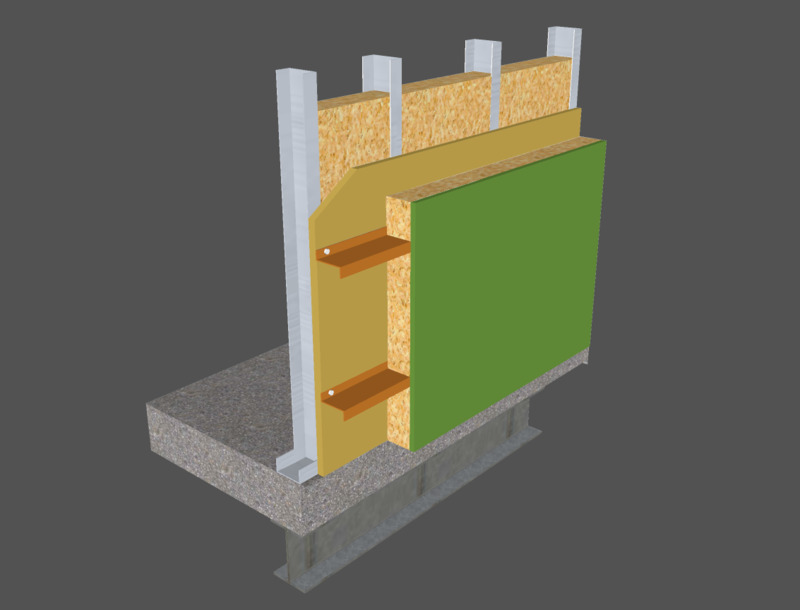 Fortunately, the type of doors we select can have a big impact on a building’s energy profile. 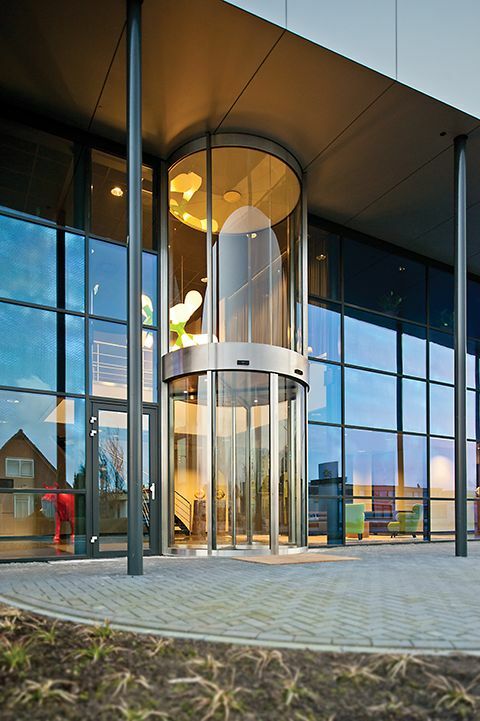 Revolving doors can be up to eight times more energy-efficient than their hinged counterparts—all while allowing large numbers of people to pass in and out, boosting security, and adding architectural interest. In other words, not only can revolving doors efficiently handle bi-directional pedestrian traffic and reduce energy costs by maintaining an airlock, but they can also improve comfort for building occupants and offer more usable space at entrances compared to vestibules. This article discusses the green features of revolving doors and considers design elements as they relate to user comfort and safety. It also offers a checklist of must-dos in properly specifying a revolving door for a given project. A revolving door generally consists of door wings that hang on a central shaft and rotate around a vertical axis within a cylindrical enclosure called a drum. There are usually two, three, or four wings that typically incorporate glass. The opening of the drum enclosure is referred to as the throat. Manual revolving doors rotate with push-bars, causing all wings to move. Large-diameter revolving doors use a motor to rotate automatically, and can accommodate strollers, wheelchairs, and wheeled luggage. 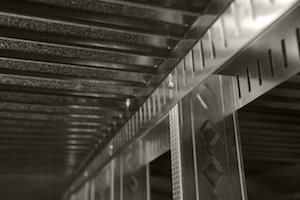 A speed control (or ‘governor’) mounted in either the ceiling or floor prevents the door moving at an unsafe speed. Automatic revolving doors are powered above or below the central shaft, or along the perimeter. Sensors in the door wings and the enclosure frame ensure the speed with which the door revolves is limited. 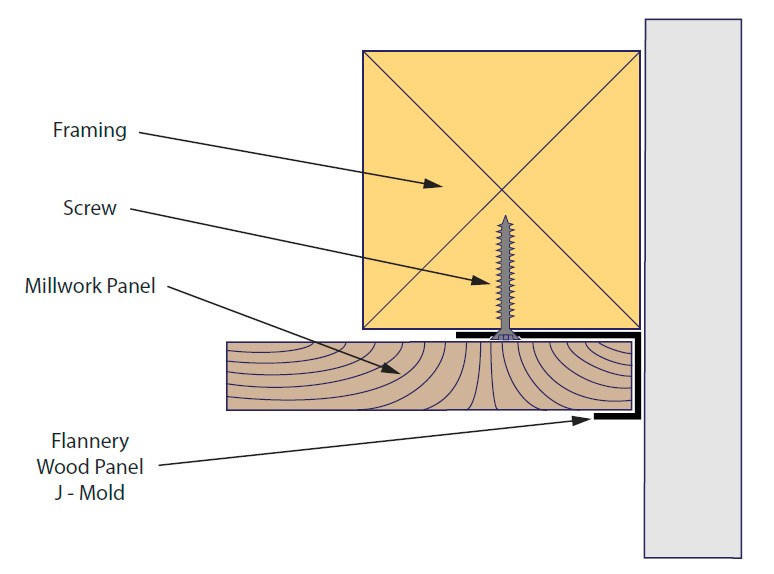 Other sensors can prevent or minimize the force of impact of the door wing on users. in 1888 by Theophilus Van Kannel to reduce air infiltration. His company’s original motto was, “Always open, always closed”—that is, always open to people, always closed to the elements. A basic understanding of the way air behaves in a building sheds light on the benefits of revolving doors. Generally speaking, per the stack effect, air flows in and out of a building because of differences in air pressure and humidity. 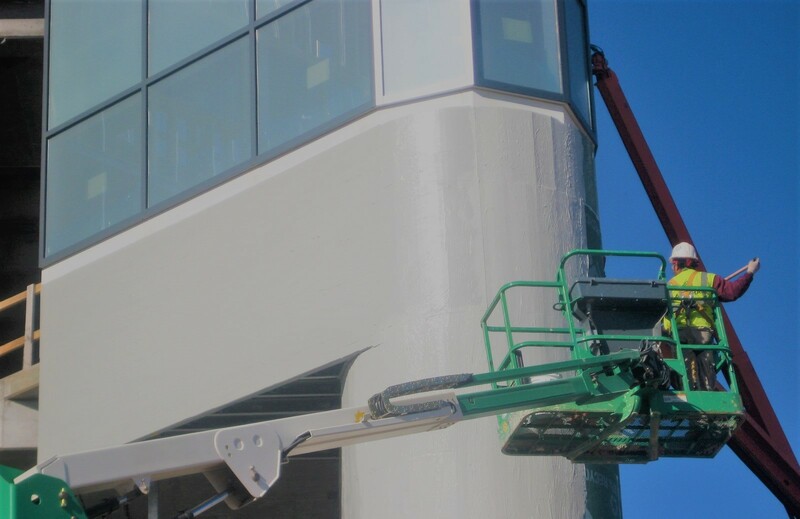 In the winter, heated air rises toward the top of a building and as long as there are any openings on the ground floor, cold air rushes in to replace the heated air. The opposite happens in the summer. In 2006, a team of graduate students at the Massachusetts Institute of Technology (MIT) conducted an analysis of door use in one building on campus, where they found just 23 percent of visitors used the revolving doors. According to MIT’s calculations, the swinging door allowed as much as eight times more air to pass through the building than the revolving door. students indicated that if everyone were to use the revolving doors in this one building alone, MIT would save almost $7,500 in natural gas a year. 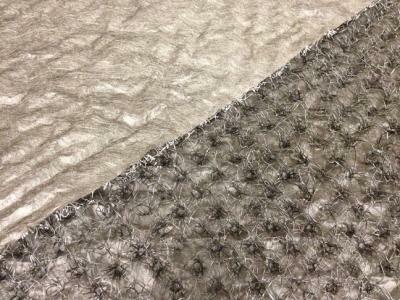 That’s enough to heat five houses over the same timeframe, and it also adds up to nearly 15 tons of CO2. The MIT findings on how revolving door usage affects energy consumption are shown in Figure 1. 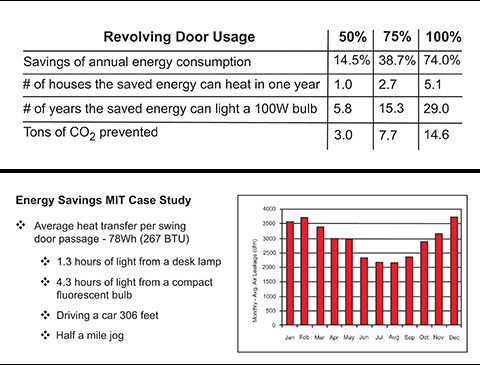 Figure 1: Results from a Massachusetts Institute of Technology (MIT) study conducted by students to determine the energy savings of revolving doors compared to their traditional hinged counterparts. That is a terrific article summarizing the key points one need to consider in selecting and specifying the revolving door. Perhaps you might wish to add that there are other methods of door operation other than microwave motion sensor or infrared sensors. There are electrostatic mat switch and pressure switch available if you would like to keep a clean slim canopy appearance not marred by sensor detectors. Light beam sensors are commonly used on slim elevator glass door edge as safety features to prevent bi-parting glass doors from closing onto users. Is there any particular reasons why such safety features are not being used in revolving doors? A note about what happen in the event of an emergency like earthquake, fire alarm, burglar alarm or power outage would be helpful- whether fail safe or fail secure option are available and how it can be deployed in each of these situations eg. interlock with one or more of these signals.under various regulatory jurisdictions would be extremely helpful. in 1888 by Theophilus Van Kannelcould. He must have been pretty smart as they do help reduce air infiltration and keep a business or building more energy efficient. I’ve noticed that many public buildings in areas where it get’s really cold in the winter use revolving doors. The only question I have is what kind of maintenance and repairs are needed for revolving doors? Is it more or less frequent than standard doors? I like that you mentioned considering the safety restrictions on rotation speed. You want to be sure and avoid any legal issues or injuries. I would also find a maintenance company at the same time.